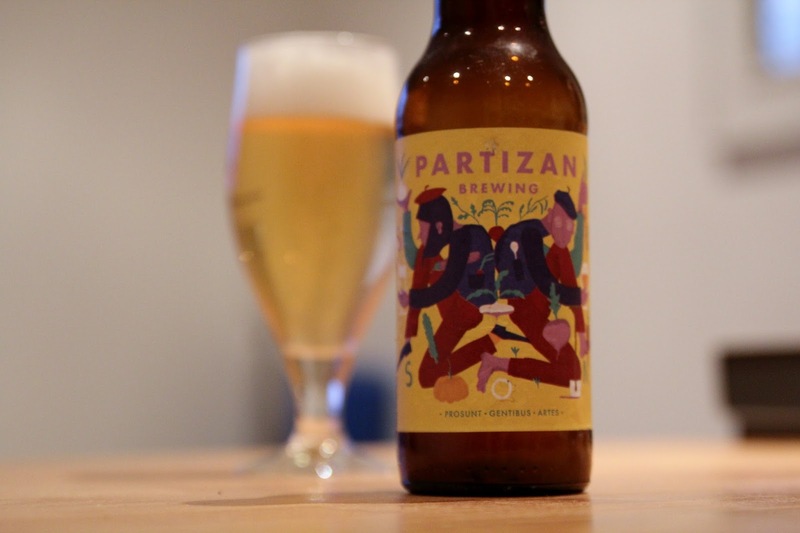 I've always loved the low-ABV Partizan saisons. I typically drink them fresh but, for no reason other than curiosity, I aged a Saison Lemongrass for a little less than a year to see how, or if, the beer changes; it hasn't changed, really. It's as delightful with a little age as it is fresh. It pours a perfectly clear pale yellow with moderate effervescence and a dense, creamy white head. The nose carries dry dough, biscuits, lavender, vanilla and hints of lemon. The flavour follows nicely, with mellow doughy sweetness, lemon meringue, a touch of bitter citrus peel, grass, straw. Its light body and lively, massaging carbonation makes the beer a pleasure to drink. The finish has further vanilla notes, lemon meringue, angel food cake, doughy biscuits and slight bitter hay. The balance is excellent. Lemongrass can sometimes be a little overbearing and even astringent, in unfortunate cases. Here, it provides a nice layer of complexity. This is a wonderful beer.